I live in a cozy one bedroom apartment with my husband and our child, an english bulldog. I love our place, but it's not the most conducive space for having out-of-town guests over. When guests do stay the night, my husband and I always allow them to sleep in our room, and we take the couch with the snoring bulldog. 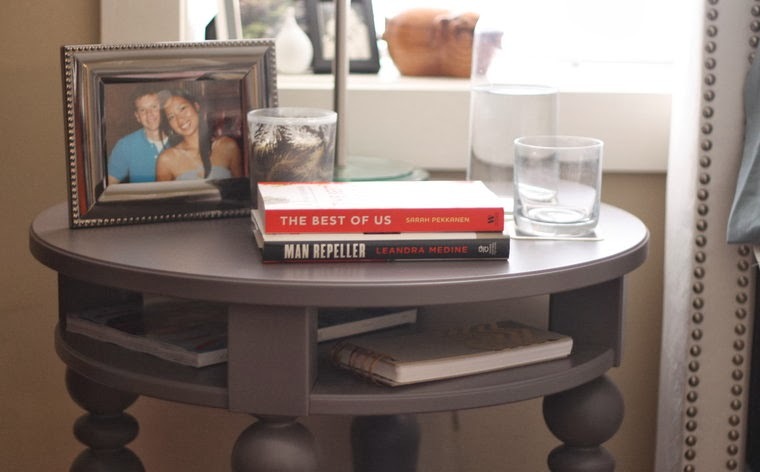 So when I pick out items for my nightstand, I do so with guests in mind, and I ask myself - what would I want to see if I was staying at someone else's home? A beautifully framed picture. This frame was gifted to me by Marshalls (normally only $4.99!). I love how perfectly the details of this frame coordinate with the studs on my headboard. A scented candle. I picked this one up on sale from Anthropologie in vanilla. Some say vanilla promotes relaxation and stress reduction. I'm not certain that it does, but I do love the scent. Fresh water because you can never drink enough of it and because of this article. I #FabFound this pitcher/carafe at Marshalls ($6.99). A notepad for writing down last minute to-do list additions and late night blog/outfit ideas. This chevron notepad (lower shelf) is also from Marshalls ($2.99). 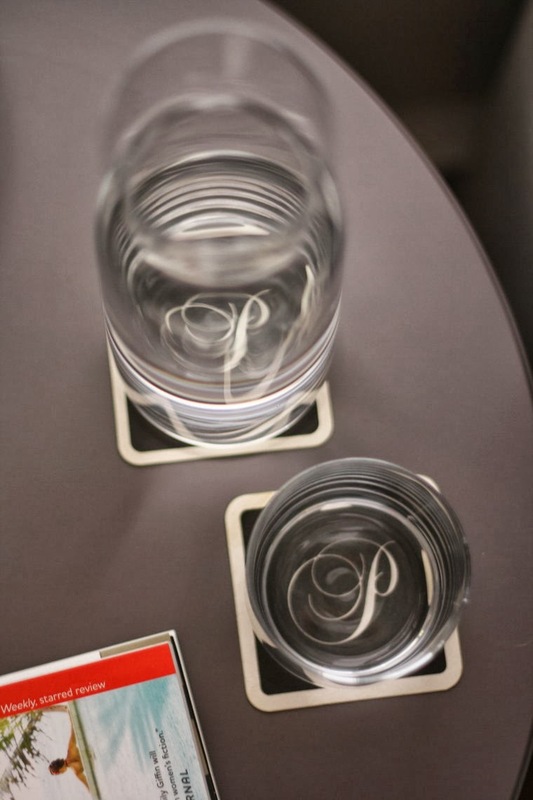 The monogram coasters are a souvenir from a hotel my husband and I stayed at in San Francisco. 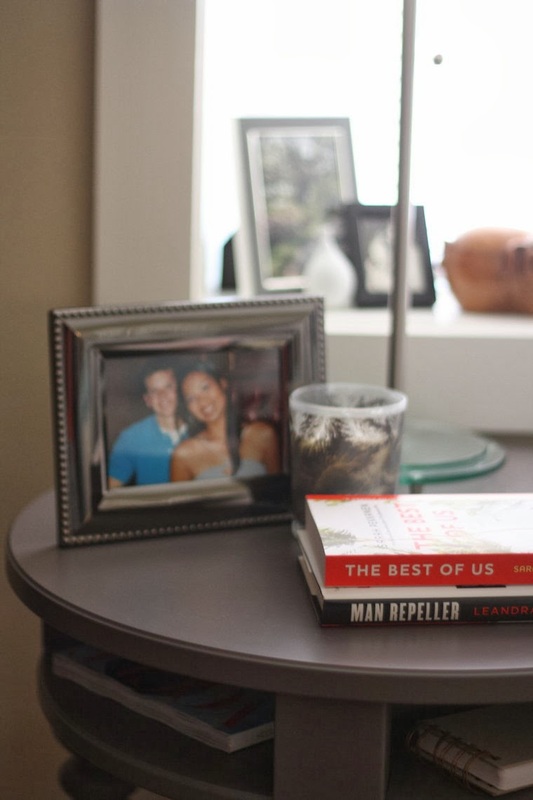 What's on your nightstand and how do you make your home more welcoming for guests? 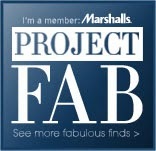 Disclosure: I have received free products or value from Marshalls of The TJX Companies, Inc. in connection with my affiliation with Marshalls Project FAB.